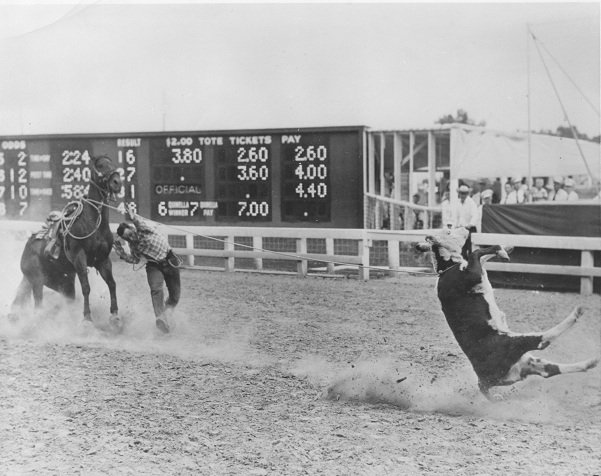 Known as the “Mighty Mite,” Ray Wharton became the 1956 World Calf Roping Champion. He began roping as a toddler, when he slung a loop over anything that moved on his family’s ranch. 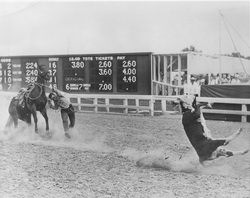 A bad fall later resulted in a crippling bone disease in his arm, but through determination, he regained the use of his arm and went on to become a roping champion.